Happy New Year from Leatherhead hypnotherapy. May 2018 be a good year for everyone. How many times have we decided that this is the year we are going to change our live? This could mean giving up smoking, losing weight, changing our job or just being more motivated. Any of these and more are the making of our New Year Resolutions. Some last a day or two before they fall by the wayside. Many never make it past the list in the front of the diary. Why, we ask ourselves? Why don’t we have more willpower? After all, any of these changes would improve our lives. The answer lies in our subconscious mind. We have all heard the quotation ‘Don’t think of elephants’ or something similar at some time in our lives. When we put an idea into our subconscious then the subconscious acts on that idea. New Year resolutions tend to be negative, ‘I will stop drinking, I will never eat chocolate again, etc’. The subconscious reacts to this by focusing our mind on what we don’t want. We therefore begin to crave the very things we are trying to avoid. Far better that we phrase our resolutions in a more positive way. 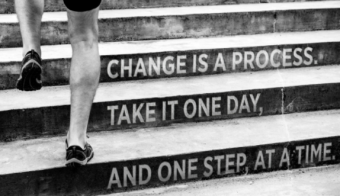 For example ‘I will eat one more piece of fruit every day’ or ‘I will walk for ten minutes in my lunch break.’ Small steps we can begin to incorporate in our lives to make gradual changes rather than trying to change everything on January 1st. Taking time to plan our changes in this way means we are far more likely to succeed in turning our new behaviour into a habit. Here at Leatherhead hypnotherapy we do our best to help people reprogram their subconscious mind to enable them to lose weight and eat more healthily. Hypnotherapy can help you stop smoking in just one session and replace the cigarettes with a new behaviour more beneficial to you. The money saved could mean you can have a holiday or buy something you have always wanted. 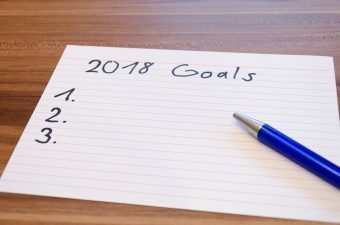 Hypnotherapy can help you keep your New Year resolutions in 2018.